The Apple IIc, the fourth model in the Apple II series of personal computers, is Apple Computer’s first endeavor to produce a portable computer. The result was a 7.5 lb (3.4 kg) notebook-sized version of the Apple II that could be transported from place to place. 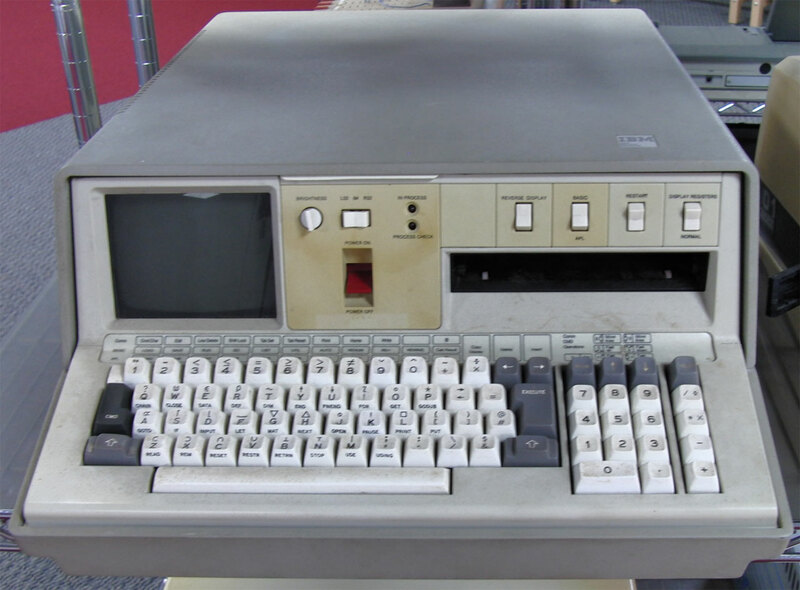 The c in the name stood for compact, referring to the fact it was essentially a complete Apple II computer setup (minus display and power supply) squeezed into a small notebook-sized housing. While sporting a built-in floppy drive and new rear peripheral expansion ports integrated onto the main logic board, it lacks the internal expansion slots and direct motherboard access of earlier Apple IIs, making it a closed system like the Macintosh. However, that was the intended direction for this model — a more appliance-like machine, ready to use out of the box, requiring no technical know-how or experience to hook up and therefore attractive to first-time users.